I am a social person with a knack for building instant rapport with people. That is why the web has always been a social experience for me. I have been part of the social web starting with chat rooms and discussion boards in the 1990s to Twitter and Facebook in the 2010s. 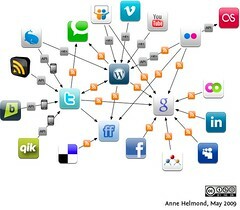 However, since 2005, I have been using the social web as an integral part of digital marketing. As such, I offer rich experience in the use of social media to achieve business objectives. Whether through social networking, blogging, micro-blogging or location-based networking I have the skills, expertise and experience to deliver results using this new medium. I have been involved in organic rankings since 1999. My most recent accomplishment is with a faith based non-profit organization where through SEO, I have helped to increase membership. Currently 25% of the non-profits funds are derived from members who arrived via SEO. All this marketing wouldn't be fun without numbers. And this is one of the main reasons why an old Physics major like myself has been successful on web marketing. I have an in-depth understanding of Google Anaytics. From working with analytics data for ecommerce websites to educational institutions, I have the breadth and the depth necessary to turn analytics into profits. From building lists to writing effective drip-campaign newsletters, I am a versatile e-mail marketing professional. I have experience working with industry leading tools such as Constant Contact and Exact Target.While in the mortgage industry I was responsible for maintaining the CRM system for a loan officer producing $15 million a year in annual loan volume. It was only very recently that I have had an opportunity to design, implement and execute an affiliate marketing campaign. And what an enjoyable experience it was. Working with industry leading affiliate providers I was able to deliver instant 700% ROI on marketing dollars spend. It's hard to work in digital marketing without an ability to trouble shoot HTML, PHP and CSS code. If the need arises I can not only look under the hood and fix problems, I can even design and build entire websites. This is not a strong suite for me, but, it is a skill that I have and can bring to any online marketing engagement.